One afternoon during my extremely busy day, I receive a special package from Edazz. It totally made my day! And in the package is the new Wardah Exclusive Two Way Cake. 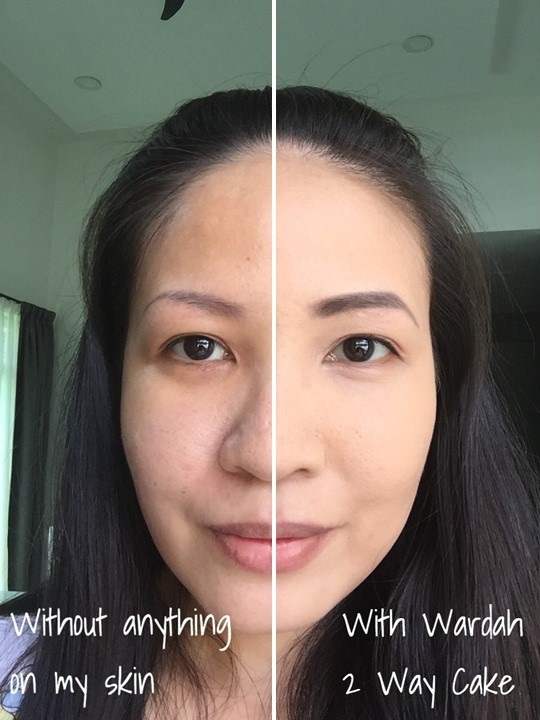 Read about Edazz's experience at the Wardah Beauty afternoon tea. This is my very first two way cake and I am definitely enjoying it. I have very little information about this product. Since it is from Indonesia and new in the Malaysia market, there isn't much information about it online. So, do consider this as my first impression and not a full product review. The packaging looks like your typical powder foundation, equipped with a sponge pad and mirror. The compact size is good to carry in your handbag. And its matte packaging will not trap dust or finger prints which is a great plus point. It has a velvety texture, which can look pretty flat in the beginning. I believe for those who have extremely dry skin, this product may not be suitable. And it is also not a product that can withstand winter weather due to the powdery form. However, the good thing is you only need to apply one layer and it is enough to cover most of the dark spots and even out your skin tone. The Wardah Beauty products will be available at Watson and Giant soon. Did I also mention that the Wardah Beauty products are halal?